This season everyone's going back to Punk and Grunge, we'll see a lot of plaid shirts, leather goods, black heavy boots and everything punkish. I'll try to sum up my fall essentials for the new season and hope you guys like it! 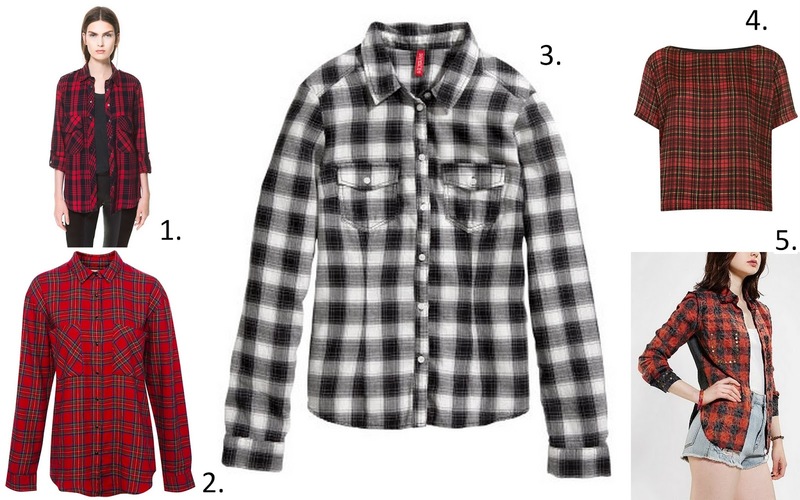 Right now I'm looking for the perfect plaid shirt, in German you'd call it a 'Holzfällerhemd' translated into lumberjack shirt, but I prefer plaid shirt. It's pretty hard to find the perfect one since I want it to be cool and grunge, also in the colours red, blue, black and you really have to be careful so it won't look like the Hollister/Abercrombie & Fitch colours! Click for details of this selection. 2-Plaid from Pull & Bear. 5-Plaid Shirt from Urban Outfitters. Ich möchte mir auch noch so eins kaufen :) Ich find das von Pull & Bear klasse!